Maintains optimum signal quality and reduces wear and abrasion. It replenishes lubrication lost on surfaces that have been cleaned with solvents or other cleaning solutions. Fader F5S 5 oz. spray provides a light 5% coating of Fader F100L liquid. © 2017 I DJ NOW. Any use of this material including all content, images and design, without prior written consent from IDJNOW, is strictly prohibited by law. Best Price. Dich Studios PO Case. Pocket Operator shown in photos is for illustration purposes only and is NOT included. Revised PO board support, even easier to assemble! Easy to assemble. New DIY Kit option! (Frequency Response (0dB,-20dB,-40dB) switchable. Ground lift switchable ground lift. 4) Ground lift switch and 2 levels of padding. 2) do not need a battery or phantom power for this direct box. Direct Box Specifications. 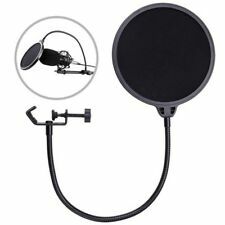 This pop filter is designed specifically for use with the Blue Bluebird and Baby Bottle microphones. Cone # 1518. Speaker Cones. Cloth Surround. Teenage Engineering Pocket Operator Silicone Case CA-20 for PO-20 Arcade. Condition is Used. Shipped with USPS First Class Package. The EBow is an amazing hand-held device that uses electro-magnetism to create amazing sound effects on electric guitar. The small battery-powered unit replaces the pick in the right hand letting the guitarist mimic strings, horns, and woodwinds with unbelievable sensitivity. DeoxIT® Gold is designed to dissolve small amounts of oxidation. The more critical the connection or part, especially low current applications, DeoxIT® Gold should be the final step. 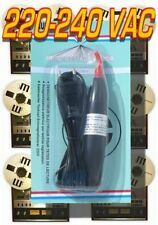 Available here is everything you need to keep your electrical or audio connections clean and protected - 1 x Deoxit 2ml squeeze tube and 1 x Deoxit Gold 2m squeeze tube from Caig Laboratories, Inc.
JBL 2278H for JBL PRX718XLF. Capable of reproducing full-bandwidth sound at high levels, with neodymium magnet and dual voice coils to perform better than conventional designs with less distortion and at a fraction of the weight. A necessary instrument accessories for musical playerCompact, portable and easy to operateStable voltage doubler rectifier and filter circuit to effectively filter out the AC signal interferenceBuilt-in low pass filter circuit design, external audio devices to fully filter out interference noiseColor: BlackTwo sets of balanced power supply, the balance of input and output signals, the voltage balance and stabilitycontrol of common mode interferenceProvide enough power for condenser microphone, and strenghen sound volume and improve the sound qualityProvide you with timely help if your instrument happens to run out of power. 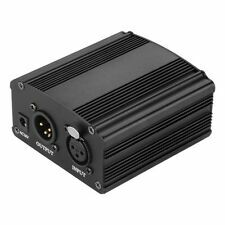 (Output AC 18V 600mA, notsuitable for instrument consumpting high power)Power Supply: 48V phantom powerPhantom power Output Voltage: DC4. Peavey ECS-8000 Tweeter Crossover New in Box. NOS! Store Closing Sale! HERE is a PEAVEY ECS-8000 Passive Crossover. PEAVEY EQUALIZED CROSSOVER SYSTEM 8000. Provide enough power for condenser microphone, and strenghen sound volume and improve the sound quality.Provide you with timely help if your instrument happens to run out of power. (Output AC 18V 600mA, not suitable for instrument consumption high power)A necessary instrument accessories for musical player; Compact, portable and easy to operate.Stable voltage doubler rectifier and filter circuit to effectively filter out the AC signal interference; Built-in low pass filter circuit design, external audio devices to fully filter out interference noise.Two sets of balanced power supply, the balance of input and output signals, the voltage balance and stability control of common mode interference.Color: BlackPower Supply: 48V phantom powerPhantom power Output V.
Sale is windshield only recorder is not included in the sale. grey colour. elasticated neck. Cone # 6355. Speaker Cones. Cloth Surround. (Horn Adapter Plate). Converts Screw On Driver 1 3/8"-18 To Fit Unto 1", 1.5 or 1.4" Hor n Flare. 2 Bolt Holes M6 on 3" Dia Circle. 3 Bolt Holes M6 on 3" Dia Circle. 1-3/'8" Screw-On Adapter Plate. Keyboard Stands. Recycling - We also believe strongly in trying to help save the planet, so we will recycle materials where appropriate. Synths, Sound Modules. Microphone Stands. AKAI APC20, APC40 (NO MKII). AND MPD32. Applying DeoxIT® FaderLube will provide a long-lasting barrier against these types of contamination. 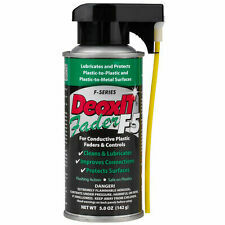 NOTE: DeoxIT® Fader is the CaiLube MCL. Available here is Deoxit Fader 2ml squeeze tube from Caig Laboratories, Inc.
Stand-alone UHF wireless receiver, working with any active speakers. 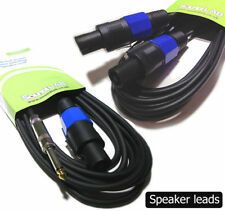 Wireless system for saving the audio cables between your mixer and active speakers. M6, M8 and M10 screws and velcro strip included to attach receiver unit to any active speakers. This cone will work with most of any models, this is a great item when require to change cones or if you doing a recone job. voice coil opening 4". Korg M3 Touch Screen Touch Panel Repair Kit - Original Manufacturer - Warranty! DeoxIT® Gold is designed to dissolve small amounts of oxidation. The more critical the connection or part, especially low current applications, DeoxIT® Gold should be the final step. Why buy from Apollo AV?. PIONEER DJ LOGOTYPE DECAL. 1 precision die-cut Pioneer DJ logotype decal. We put a lot of effort into making our decals so we want them to reach you in perfect condition. We have an Eco-friendly philosophy here at Decalco, so we make every attempt to keep waste materials to a minimum. This warranty does not cover minor visual defects such as scratches and paint wear or defects caused by uses other than the intended use. MINI INNOFADER PRO TECHNICAL SPECIFICATIONS - linear or PT-01 output curves. This cone will work with most of any models of the Cerwin Vega 18" speakers, this is a great item when require to change cones or if you doing a recone job. 18" speaker cone for cerwin vega subwoofers. 12" speaker cone for JBL 2262HPL subwoofer. this cone will work with the JBL 2262 HPL, JBL 2262H 12" speakers, this is a great item when require to change cones or if you doing a recone job. 12" speaker cone JBL 2262 HPL speaker. Four #4 holes for countertop mounting. These panels are custom fabricated and powdercoated for durability. Similar to those made by Rapco. T-1 Talent Panel. TEXTURED SILVER/BLACK PANEL. A jam-sync function with 3.5mm audio in and out connections allows for multiple synthesizer units to be linked together. Using high-quality components with low-power consumption, the synthesizer is cleverly designed with a Silabs EFM 32 Gecko CPU, a Cirrus Logic DAC, and a Knowles speaker placed under a novel animated LCD on a single circuit board. Moves with your microphone. The included heavy-duty elastic bands make attaching the OMPF-33 to your mic a snap. 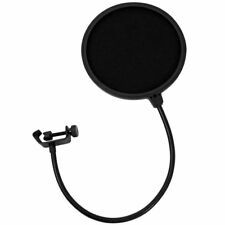 Since it attaches directly to the mic itself, it stays in the perfect spot even when you have to adjust the mic's height or position and is a great space saver, making it ideal for use with desktop mic stands, where space is often at a premium. These dual tier stands have a holding depth of 135mm and are designed to hold skiffs with a depth of 80mm. They are 30mm wide and are reversible. The first orientation has a bottom tier and top tier have a tilt 30 and 45 degrees with a second orientation at 45 and 60 degrees. Each pair of stands come with rubber feet, a sticker, and a 3d printed figurine. 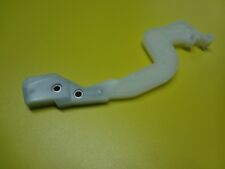 Model SL480P High Airflow 2U Intake Rack Mount Fan. PROCOOL model SL480P is designed to blow air into the rack. 2U - 19in x 3.5in x 1.5in 2U - 19in x 3.5in x 1.5in 2U - 19in x 3.5in x 1.5in 2U - 19in x 3.5in x 1.5in. Refresh your scuffed up looking box with a fresh Rane Factory Official skin for your SL-3. These have the OG white ScratchLive logo and signature. 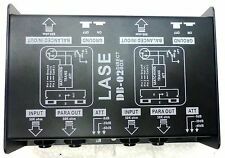 Rane SL-3 lexan (Fits all SL-3 models). They are in full working order and in sound condition, if a little tatty looking. Photos are representative as we have multiple units for sale. Collection by a 3rd party will be refused. The load must never be applied in a direction which pulls the Flying studs towards the insertion aperture in the stud plate. The peak is at 12kHz, where the C1 is at 6dB. Sibilants are smooth and pleasing. I then tried replicating the "after" sound by applying EQ to the "before" sample, and all it did was darken harsh sibilance. CAIG DeoxIT Vacuum Tube Survival Kit - Great Gift for Your Tube Enthusiast! CAIG's vacuum tube survival kit is designed to extract maximum performance from your tube audio gear while increasing longevity. • (1) 7.4 mL bottle of DeoxIT Gold GX-MD conditioner and protector with brush applicator. NEW Recessed Dish Speaker Cabinet Jackplate w/ Dual SWITCHCRAFT #11 1/4" Inputs. Includes 2 Switchcraft #11 1/4" inputs, the highest quality inputs on the market. Plate is 85mm x 85mm. Cutout hole is round, see diagram.